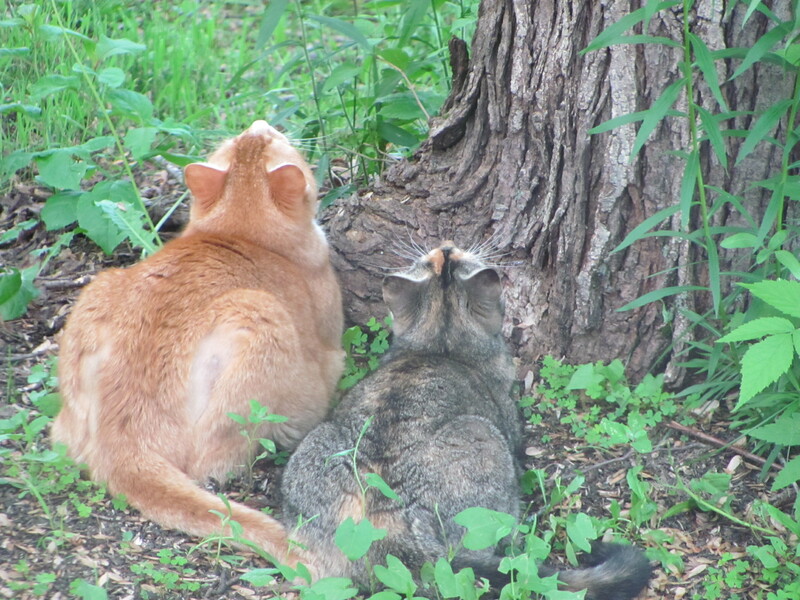 Max and Sadie watching the hummingbird feeder. June has sped by with a lot of activity for our household: We successfully launched the Boston Summer Seminar, Hanna traveled to London for a meeting at the Wellcome Library (and to play tourist in London! 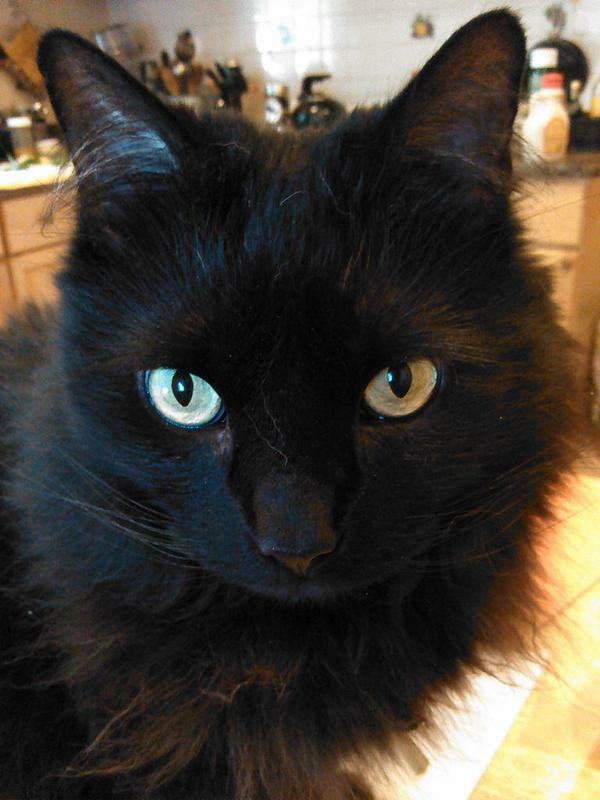 ), I spent a weekend in Maine with my in-laws, and of course we’ve been busy gardening. 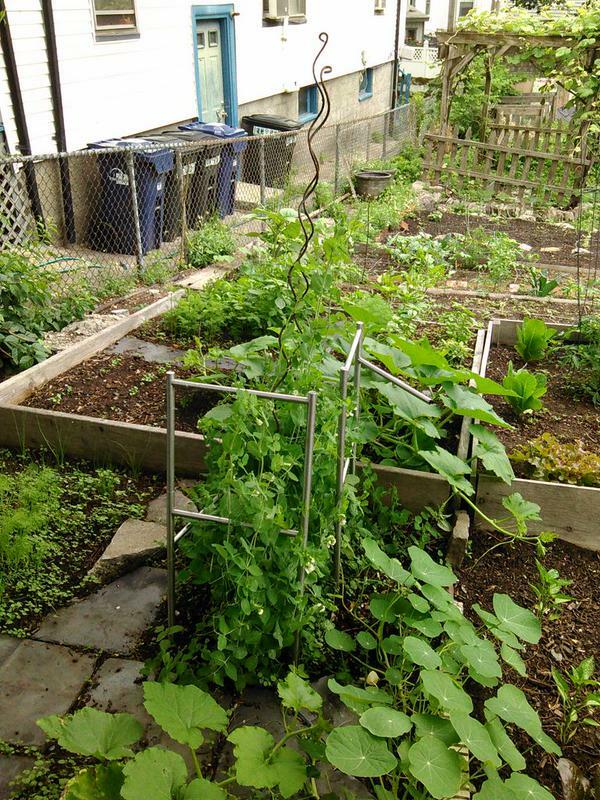 In April we were assigned a garden plot at the nearby Roundhill St./Day St. Community Garden — one of several Boston Natural Areas Network (BNAN) community gardens in the neighborhood. Above is what our plot looked like upon assignment. 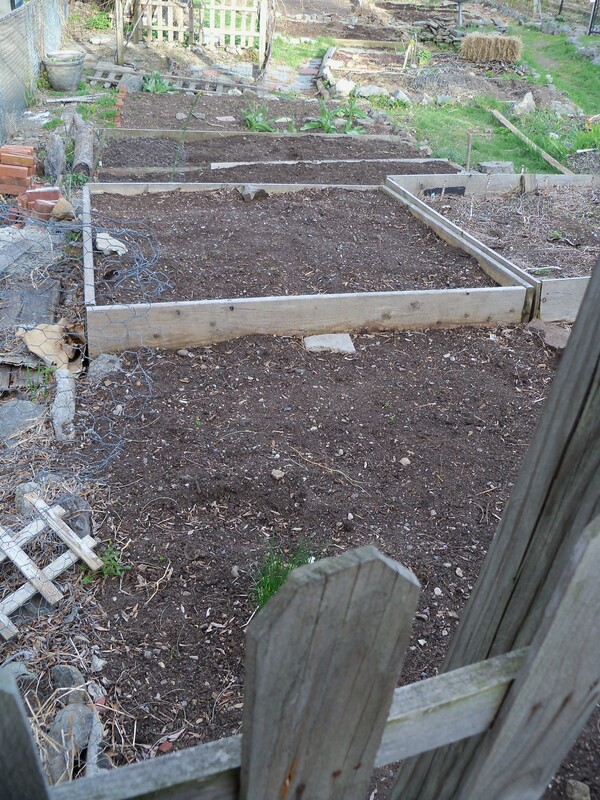 This past week, I snapped a picture of the green things growing on what used to be barren dirt: nasturtiums, pumpkins, English peas, fennel, leeks, radishes, basil, sage, and wildflowers. The Luggage, carrying home our first CSA share of the season. Today, when we picked up our CSA share from Stillman’s Farm — the first of the 2015 season! 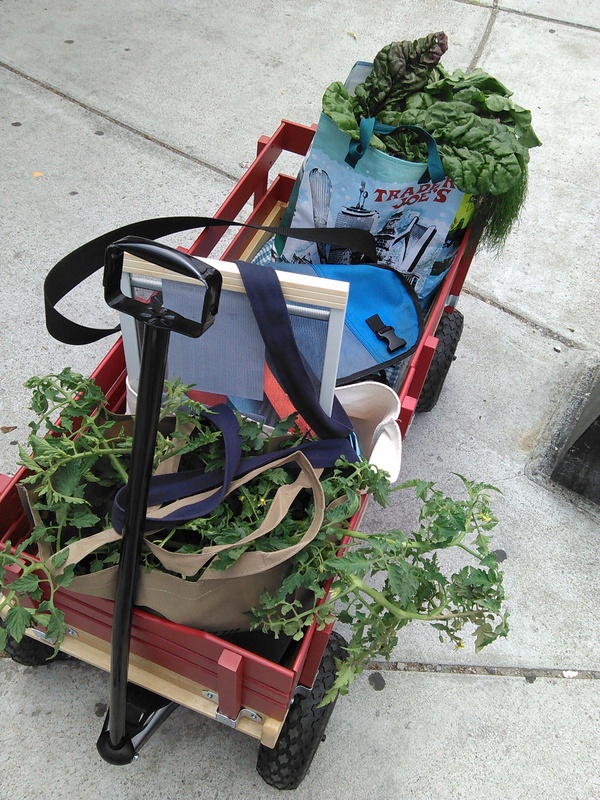 — and bought three heirloom tomato plants for $10.00 to grow on the back porch. 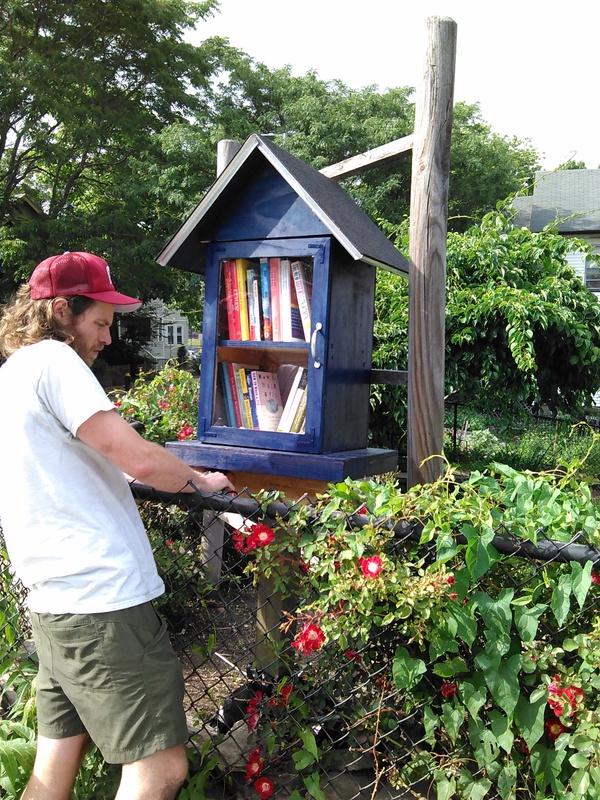 Matt, our neighbor, helping install our Little Free Library. On my trip to Maine, while Hanna was in London, I picked up a Little Free Library built by my father-in-law Kevin to our specifications (Hanna particularly requested the TARDIS blue). Our neighbor, Matt, offered to help install it with his electric drill. Thank you, Matt! Boston Summer Seminar, evening session, June 2015. Hanna and I were both involved in designing and running the Boston Summer Seminar, which ended up overlapping with Hanna’s travel abroad. 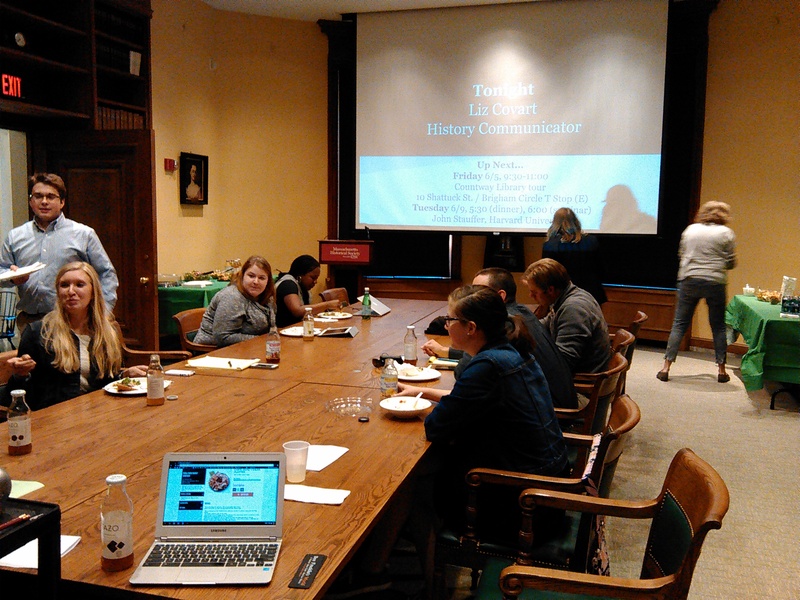 We had three research teams of faculty and undergraduates from Hope College, Kenyon College, and College of Wooster, converge on Boston to do amazing work on food and national identity, women and education, and nineteenth century ballet. This month marks the sixth anniversary of our coupledom. 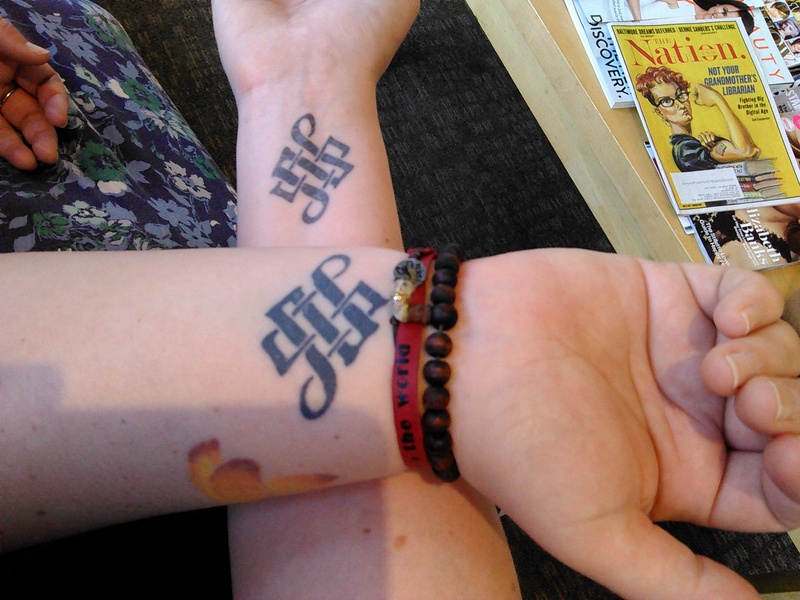 I snapped this photograph of our wedding tattoos while we were waiting at Fresh Hair salon a few weeks ago waiting for an appointment. I’m starting to hanker for another tattoo. My most recent ink was done in honor of my grandmother’s passing in 2013 and the two-year itch has definitely arrived. Not just because I wrote a piece of Haven fanfic involving wedding tattoos. 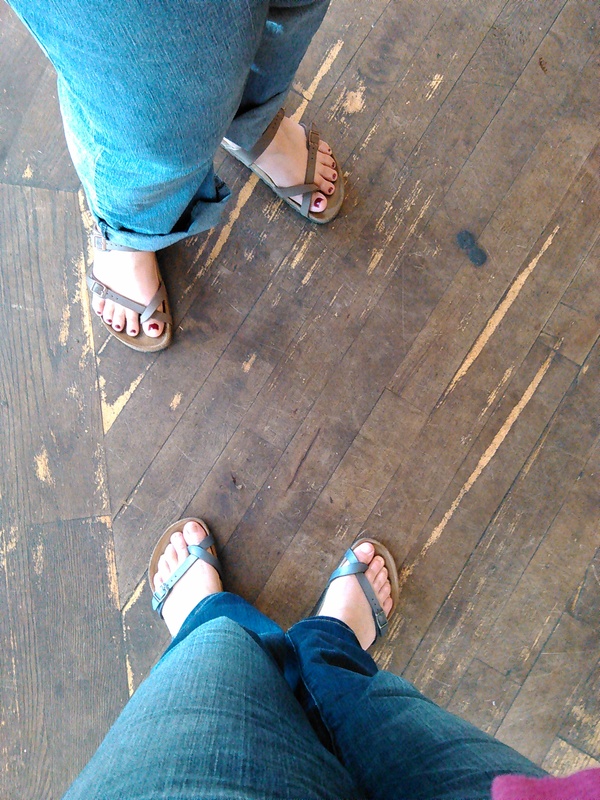 Feet selfies (Hanna and Anna) at City Feed and Supply, Jamaica Plain, 4 June 2015. My #365feministselfie project continues, and in addition to posting them daily on Facebook and Twitter, I am gathering the images in an album on the feminist librarian Facebook page. What’s up for the rest of this summer? My work at the Massachusetts Historical Society will pick up in July and August as our 2015-2016 cohort of research fellows begins flooding in. 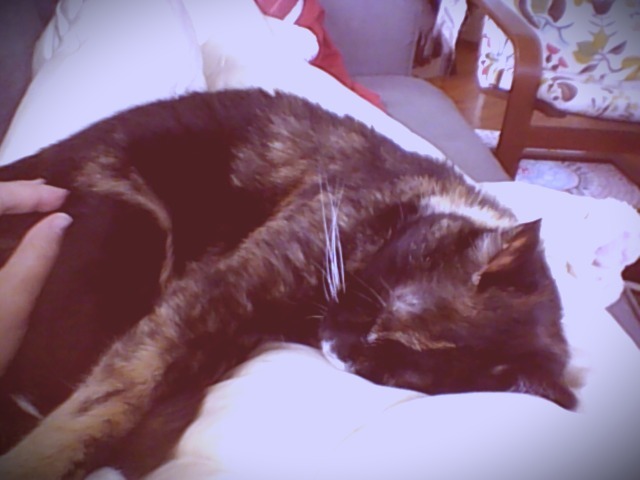 Hanna, meanwhile, is taking a six week summer class at Harvard on Celtic literature. We typically don’t plan vacation time during the summer months for that reason — that’s a treat we save for Septembers, around the time of our wedding anniversary. We haven’t made plans for that time yet, this year, but we’ll probably spend a long weekend in Maine and maybe take another long weekend in Vermont or on Cape Cod, just for ourselves (finances willing).